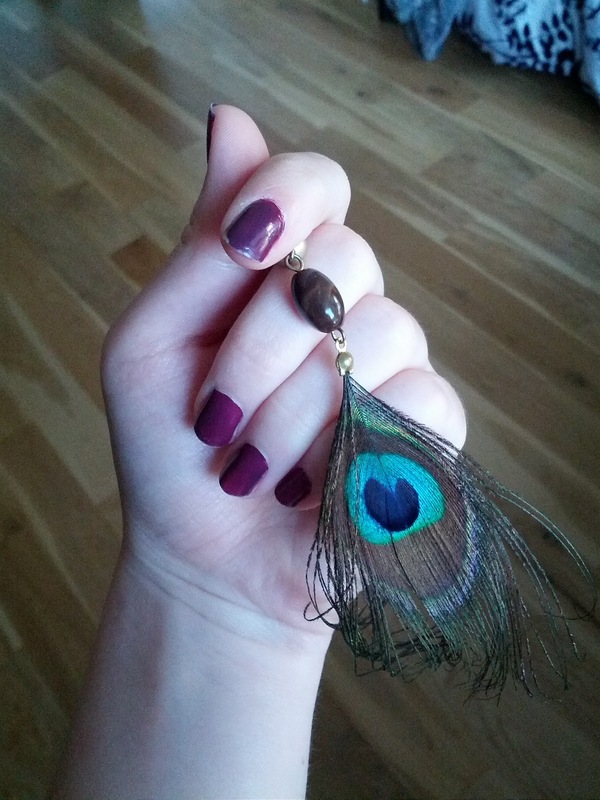 earrings: Aldo's Accessories, nail polish: OPI "Louvre Me, Louvre Me Not"
The nail polish is one of my favorites by the way, it's a beautiful plum shade, absolutely perfect for fall and changing seasons in general. I also love that after several coats, it turns into this lovely purple and even on the coldest days it somehow seems to warm you up from inside. Thanks :) I really appreciate it, I can only hope that I'll get my blog to the same stage as yours one day! i love your outfit by the way! Great top, jeans and a bag to match!